Carve Montana! | Where art comes to life! 2019 is upon us, and things are already heating up! Twenty of the world’s finest chainsaw artists have agreed to come to Libby to test their skills against each other in pursuit of the third annual Kootenai Country Montana International Chainsaw Carving Championship. 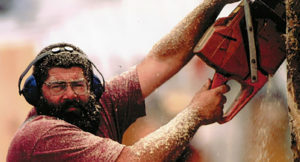 The competitors include carvers from all across the United States, as well as around the world. The competition will be an intense, four-day affair with the artists carving not only their competition masterpiece, but also engaging in several hour-long “quick carve” events during scheduled breaks. The competition will be held on the street, allowing the public to watch the artists at work. 2019 is bringing some exciting new changes to the competition. The event will be expanded to four exciting days, with the masterpieces being brought to a high level of finish not seen in the past. In an even more exciting development, the championship will be held the same weekend as the Libby Nordicfest celebration. Nordicfest is a proud and long-standing tradition celebrating our town’s heritage, and these two events will serve greatly to enhance each other. The event is scheduled to begin Thursday, September 12th in Libby. Carvers will work Thursday, Friday, Saturday, and Sunday morning on their competition pieces with short “quick-carve” breaks. The quick-carve pieces will be available for public auction during the competition. The event will also feature a special Artists’ Reception where the public can meet the artists and learn more about this truly fascinating art form.